Bell Pottinger might be a convenient scapegoat, but it is difficult to understand why it took the agency so long to end its controversial Gupta relationship in South Africa. Bell Pottinger is no stranger to geopolitical intrigue, given the agency's long experience of working for such controversial regimes as the governments of Bahrain, Sri Lanka and Belarus. Indeed, under the leadership of founder Tim Bell, the firm's reputation for tackling the murkier end of the PR spectrum flourished — sometimes to its detriment — but often in a manner that allowed it to walk the tightrope between profit and ethics. Which makes the firm's recent behaviour in South Africa all the more baffling. To recap, Bell Pottinger was hired by the Gupta family — which has developed extensive business interests and political influence in South Africa since its first democratic election in 1994 — to manage the reputation fallout from allegations of 'state capture' against the brothers, who are closely linked to President Zuma. As Bell Pottinger CEO James Henderson himself put it recently, while announcing his decision to end the relationship, the agency's task involved helping Gupta conglomerate Oakbay Investments address "attacks on its reputation, correcting misrepresentations and defending it and its owners from politically motivated attack." Even at that point, you could argue that Bell Pottinger should have been aware of the need to tread warily. The Guptas are not best-loved in South Africa, with the nation’s graft ombudsman implying that they have used businesses and relationships with President Zuma and his son as conduits for improper influence over the government. Those claims caused the nation's leading banks, brokers and auditors to desert Gupta-controlled companies last year, a state of affairs that must have rung alarm bells at Bell Pottinger. Perhaps the PR firm surmised that it could help steer the Guptas towards a more acceptable posture, more in tune with public expectations. After all, even the most controversial of clients can benefit from ethical public relations that seeks to improve behaviour and address criticism. Regardless, by inserting itself into such a volatile scenario, in a country that has been careering towards political crisis under Zuma, Bell Pottinger will have been aware that it also risked becoming a high-profile public target. It is the kind of pragmatic calculation that many firms in their position will make, weighing the potential for controversy against whether the assignment's goals are realistic, and the fees sufficiently high. Bell Pottinger presumably concluded that, rather than demur, those risks were worth taking. 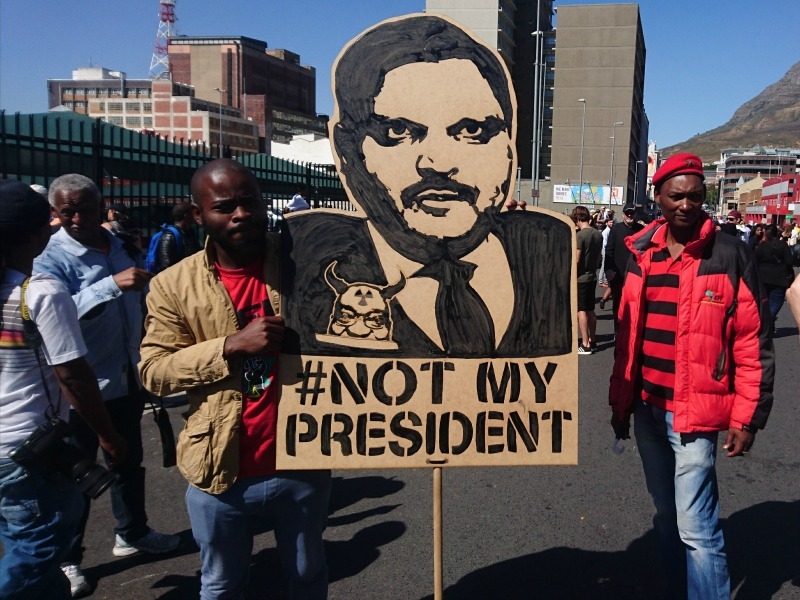 Yet, the campaign that followed clearly proved otherwise — with Bell Pottinger eventually being blamed for developing a narrative that sought to portray Zuma's opponents as agents of 'white monopoly capital." PR firms are often criticised for their work, but few are likely to have attracted the level of public opprobrium that has greeted Bell Pottinger in South Africa. The UK agency has been targeted at nationwide protests and on social media, while an unverified report makes wide-ranging allegations about social media bots and fake news, much of it grist to South Africa's febrile political mill. Even if the agency did not devise the campaign, one wonders whether at any point Bell Pottinger — represented on the assignment by corporate/financial MD Victoria Geoghegan — asked its client to reconsider its efforts. And if accepting the brief was a poor decision, surely continuing with it represented a continuing lapse of judgement on Bell Pottinger's part. It is probably true that Bell Pottinger, a foreign company from an industry that is rarely afforded the benefit of the doubt, makes for a convenient scapegoat. Still, it is hard to overstate the scale of the crisis that has unfolded since Zuma recalled his respected finance minister from an international roadshow in late April, shortly before firing him — a move that has united opposition parties, prompting ratings agencies to downgrade the country to junk status, and only adding to the public outcry against the the PR firm. Hindsight, of course, is a wonderful thing. But, even if we leave aside the divisive nature of the campaign messaging, it cannot be said that there were not warning signs along the way. Lord Bell admits that the assignment was one of the reasons he walked away from the firm he founded, while two of Bell Pottinger's longstanding South African clients — Richemont and Investec — also cut ties as a result. Almost inevitably, Bell Pottinger finally ended the relationship last month, noting that it was no longer able to serve as an effective advocate for its client. But its unhappy South African experience demonstrates again the virtues of conscientious client selection, coupled with an agency's ability to say no. And that, of course, is without considering the damaging effect the campaign has had on a fragile national psyche. It may be that the firm was well-remunerated for its efforts, but it is hard to conclude that Bell Pottinger will feel it was worth the reputational damage it has endured as a result.